Posts Aren't These Bloodthirsty Birds Charming? Aren’t These Bloodthirsty Birds Charming? Why, look at this! The Yardley girls all found a quaint little duck park. With real, live ducks! And geese! And whatever the heck these mutant duck-things are! We played. We pranced. I took a few picture with my phone. Blurry ones. Why are they so blurry, you ask? 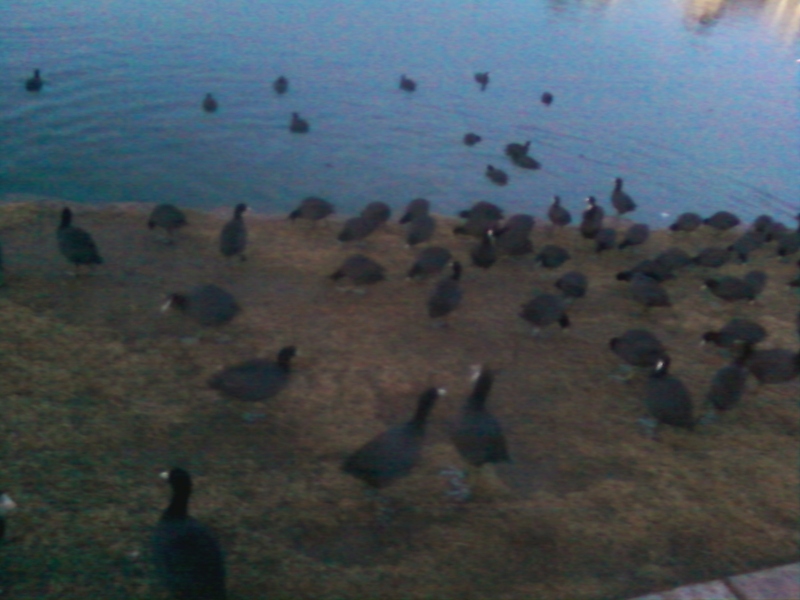 Because the mutant duck-things swarmed us. And we ran. See Itty Bit running toward me in that last picture? That was seconds before she tried to climb my body like a tree. The Middlest did the same thing. Imagine me pelting down the sidewalk, in heels, holding two screaming girls while these weird, flesh-eating duck hybrids honked and waddled after us on their surprisingly swift Feather-Feet. Mercedes, the “mutant” ducks look like they are muscovy ducks. 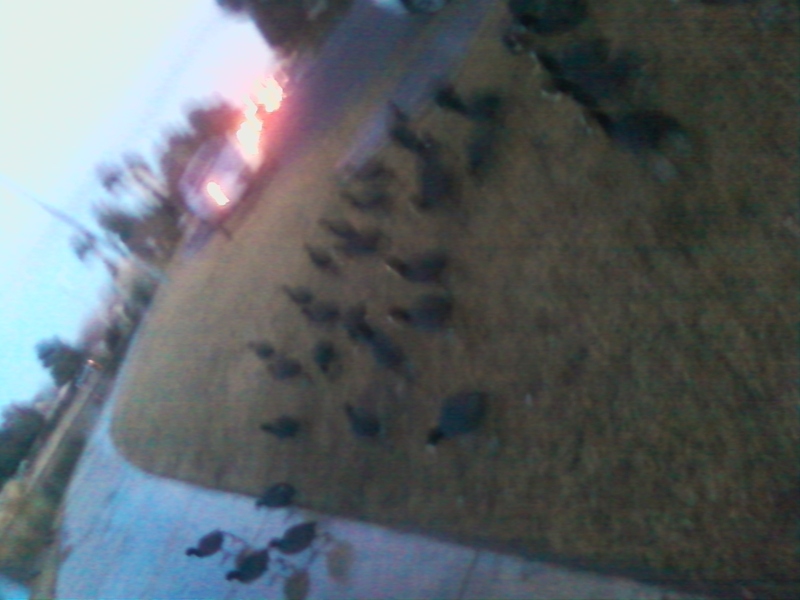 I bet they swarmed and chased you because you didn’t have enough bread/offerings to make them happy. Always take plenty of bread. They like millet really well too and that helps to slow them down a little. Sorry the girls got scared and that you had to run for you life in high heels while carrying the girls. Sounds like an adventure. 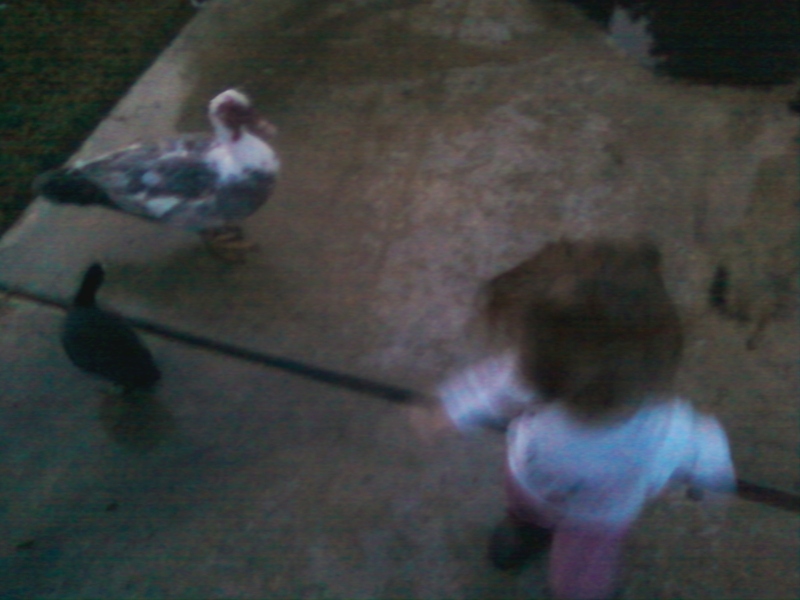 Hugs, Ardee-ann who knows a thing or two about ducks and geese. I have even had a swan bite me on the fanny when I was little. I think the blurriness somehow adds to the charm. 😉 And your last line is as vivid as it gets.